Chocolate and peanut butter is one of the all-time great pairings—up there with bacon and eggs or peanut butter and jelly. But it’s off-limits when you’re living the keto life, isn’t it? Not so fast! Thanks to some smart sweetener swaps, you can get your fix of salty-sweet candy treats without completely ditching your diet. <h4><p style="color: rgba(20, 117, 135, 1)">Go Nuts</p></h4> As George Washington Carver proved, peanuts are an incredibly versatile legume. That’s right, legume—these little treats are actually a bean, not a nut! They’re packed with protein and healthy fats. And in peanut butter form, they’re used for any number of sweet and savory dishes. Best of all, peanuts are particularly high in thiamin, also known as vitamin B1. It helps the heart, muscles, and nervous system perform at their best. But guess what? It also helps your body convert carbs into energy. So any excess carbs you take in will be better utilized! <h4><p style="color: rgba(20, 117, 135, 1)">MCTs and Me</p></h4> Made from the creamy white innards of a mature coconut, coconut milk is a fantastic source of healthy fats. In particular, full-fat coconut milk is high in medium-chain triglycerides (MCTs), which studies have linked with weight loss. By inducing thermogenesis—heat production—MCTs help you burn calories and reduce your waistline. Some evidence even shows that consuming MCTs may help you eat less during the day. These versatile fats also seem to support gut health; rebalancing your microbiome and promoting better digestion and overall health. <h4><p style="color: rgba(20, 117, 135, 1)">Chocolate Peanut Butter Eggs</p></h4> <h5>Prep Time: 5 mins | Cooking Time: 10 mins| Serves: 20</h5> <h5><p style="color: rgba(20, 117, 135, 1)">Ingredients:</p></h5> * 2 cups dark chocolate chips (80% or higher; we recommend Lily’s dark chocolate chips) * 2 teaspoons grass-fed butter, divided * 3/4 cup almond flour * 2 cups almond butter (any smooth nut or seed butter will work) * 1/3 cup erythritol * ¼ cup granulated monk fruit sweetener * ¼ cup full-fat coconut milk * 1 teaspoon vanilla extract <h5><p style="color: rgba(20, 117, 135, 1)">Instructions:</p></h5> 1. 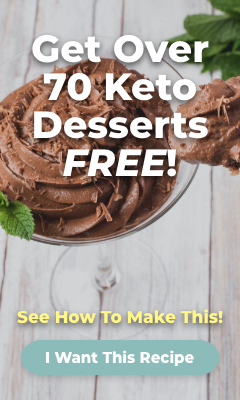 In a large bowl, combine the almond flour, almond butter, erythritol, monk fruit, coconut milk, 1 teaspoon of butter, and vanilla. Mix well. 2. If the filling is too crumbly, add extra coconut milk, a teaspoon at a time, until a smooth, moldable dough forms. 3. Line a baking sheet with parchment paper or a silicone baking mat. Spray your hands lightly with cooking spray. 4. Scoop about a tablespoon of dough and form into an egg shape, then place on the prepared sheet. Repeat until no dough remains; you should get about 20 eggs. 5. Freeze until firm, about 1 hour. 6. Heat a large saucepan full of water over high heat until boiling. Place a heatproof bowl on top of the saucepan to create a double boiler. 7. Add the chocolate chips and remaining 1 teaspoon butter to the double boiler. Heat, stirring frequently, until the chocolate melts fully. 8. 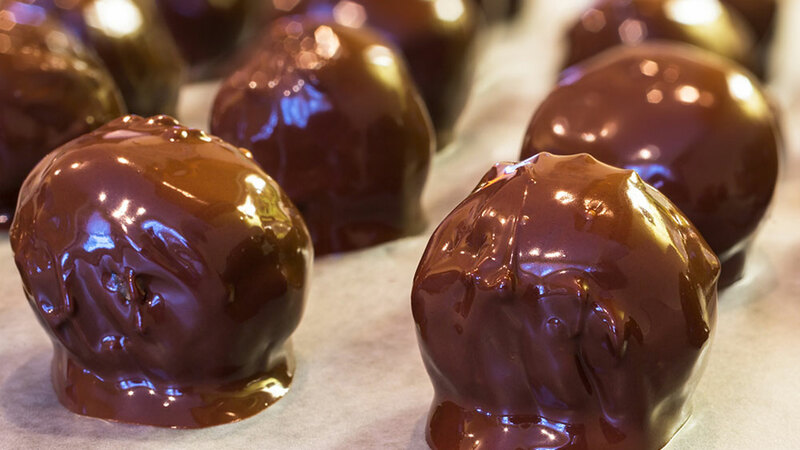 Using a fork, spear a peanut butter egg and dip into the chocolate, swirling to coat. Ease the dipped egg off the fork and back onto the baking tray. Repeat with all eggs. 9. Freeze until firm, about 1 hour. 10. Enjoy!